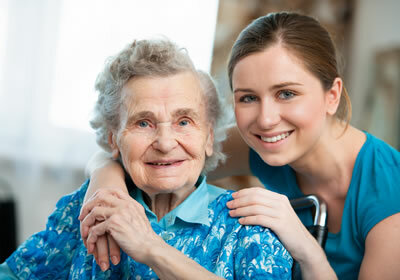 Care homes are particularly busy around the Christmas and New Year Period. Online Care Courses reports on the most relevant care home news over the festive period with links to the sites listing their articles found in the public domain. This months news bites cover an interview with an activities co-ordinator in Weymouth, Reindeer visits in Warwickshire and two new care homes planned for 2018 in East Dorset and South Essex. Two Reindeer, Mistletoe and George from the Phoenix Children’s Foundation in Leicestershire visited Castle Brook, Warwickshire on December 21st to help cheer up the residents of the elderly care home. An application form submitted to East Dorset District Council proposes plans to demolish two houses and replace them with a new care home in Ferndown according to the Bournemouth Daily Echo. Seventy new employees will be taken on to help run the 72 bed care home that has been proposed with a “Renaissance” design. The Echo suggests the development will comprise of a three storey building with 20 car parking spaces and improvements to the site’s access. A proposal has been made to extend the Ashingdon Hall residential home in Ashingdon, south Essex to create a 10 bed dementia centre next to the existing home. The Braintreeandwithamtimes.co.uk website claims that the “The ten bedroom residential unit, at the north of the site will lead to the employment of 24 staff to care for patients”. The proposals include and area for patients to eat and drink as well as easily accessible doorways to bedrooms and bathrooms, with a focus on privacy for the residents. The Dorset Echo spoke to Gracewell care home regarding it’s attempts to “tackle the issue of chronic loneliness during the family-orientated season” with a number of pre-planned events to boost resident spirits over the period. Care Article Phobia - What are Phobias?